While a leather jacket is a great bold addition to your wardrobe, preserving its texture and quality can be tricky. From hard to soft leather, it’s important to ensure that the material doesn’t fray or deteriorate over time. Below are four tips for caring for your favorite jacket, according to leather repair professionals. Like silk, leather is sensitive to moisture. Don’t use plain water to clean your jacket, as the material is porous and will absorb liquids, resulting in stains. Avoid cleaning solutions with ammonia or bleach. Leather repair experts recommend toothpaste, baking soda, and rubbing alcohol as the best cleaning solutions. Use each of these in moderation, performing a patch test first to ensure there are no adverse reactions. If you spill something on your jacket, clean it immediately with a soft cloth. 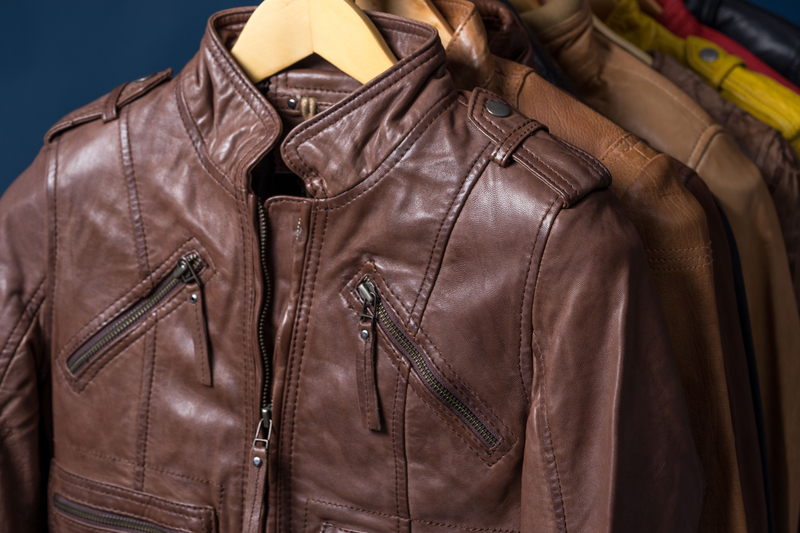 If you have an old, stiff leather jacket, soften it by using a special conditioner. Not only will this technique keep your jacket looking fresh and supple, but will also improve durability and longevity. Invest in a high-quality, spray-on leather conditioner. Unlike wipe-on forms, the spray is easier to apply evenly and is less likely to result in build-up, especially in crevices. Over time, bacteria can build up on the jacket and damage the material. Leather repair experts suggest that dry-cleaning is the best way to remove bacteria without harming the material. It’s best to take it to a professional every three to four years for a thorough cleaning. For a quick solution, put your jacket in the freezer in a secure bag for about 30 minutes to kill bacteria. To avoid uneven wear, dryness, and wrinkles, it’s important to store your jacket correctly. Use a wide, padded hanger and store in a cool, dry place out of direct sunlight. If you’re traveling, store it in a breathable garment bag. The trusted professionals at Wo’s Custom Tailoring in Manhattan’s Upper East Side can revive your old, stiff leather jacket. These tailoring and leather repair experts have served the New York City community for over 40 years, specializing in men’s suits and shirts as well as offering a broad range of additional services, including wedding dress alterations. Call (212) 988-9889 or visit their website to learn more about their services. Can Leather Jackets Be Altered?